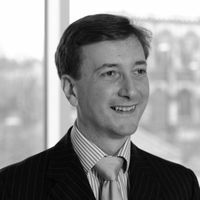 Andrew Allan-Jones is a specialist intellectual property lawyer with a fascination for technology and deep experience in brand management. Andrew cut his teeth at Linklaters dealing with the intellectual property aspects of corporate transactions and listings as well as large scale international patent litigation covering pharmaceuticals, medical devices and electronics. Building on that experience, Andrew has developed a practice covering technology, media, brand management and retail.